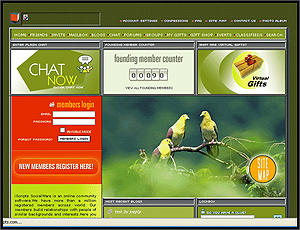 iScripts SocialWare is a customizable, user friendly, open source social networking script with customizable features like blogs, albums, gift shop, classifieds ,multilevel administrations , video support, music support, search etc. Start your own social networking site in minutes or add viral community traffic to your existing web site. This installation is for 2 month FREE trial. It can be extended to regular license by purchasing a paid license and without impacting existing data.